Two of my good friends have been honeymooning in Thailand (lucky them!) 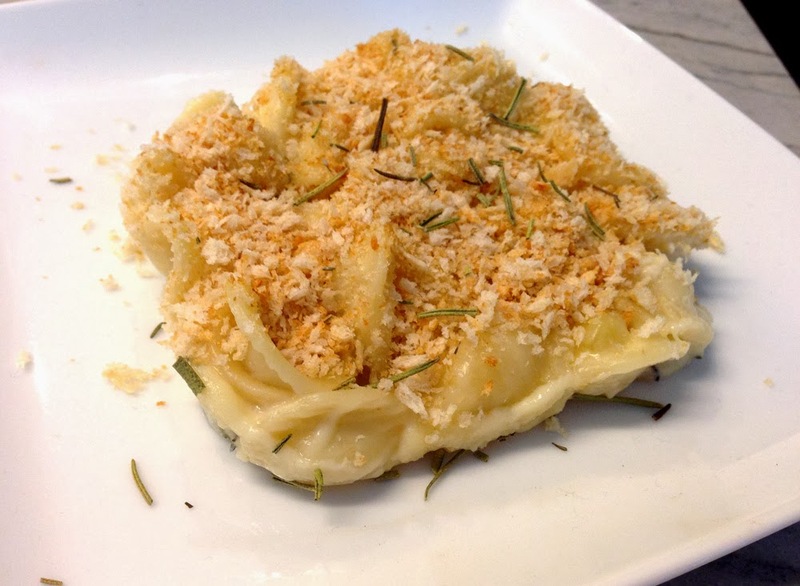 and I've been eagerly awaiting their return, because I promised that I would make this brie mac & cheese and leave it in their fridge for when they arrived back home. While they were away, the weather turned and it officially feels like fall. So this was the perfect dish for them to come home to - and for me eat the extra of on a cold Sunday night! Cook the pasta; pour into a baking dish. I like orecchiette because the little cups hold the cheese nicely, but you could use traditional macaroni noodles if you wish. In a small skillet, toast the panko until it is slightly golden - not completely dark because it will go under the broiler later. 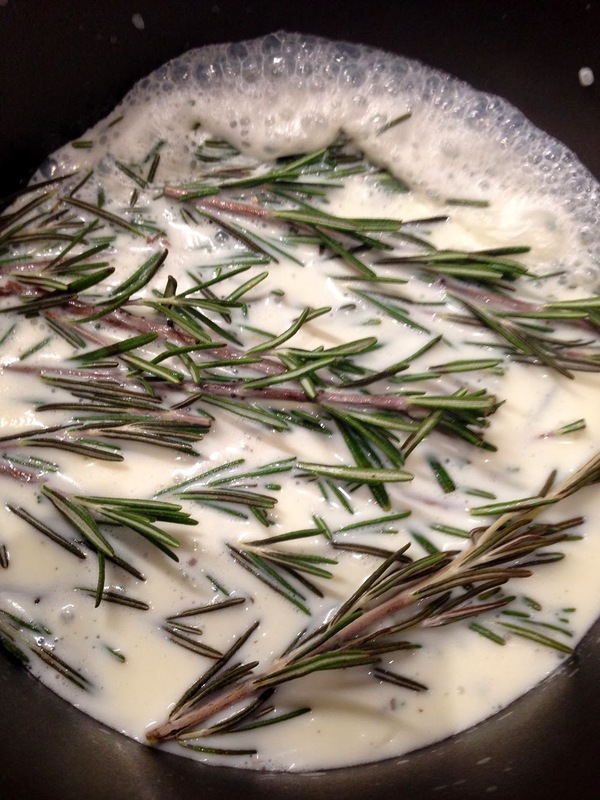 Heat the milk in a saucepan on medium-low with the rosemary inside, as pictured below. Bring to a simmer for 5 minutes. The goal here is to infuse the rosemary flavor into the milk. Remove most of the rosemary and discard - if some falls off the stems it's okay to leave a little. Whisk the flour into the milk and continue whisking for a few minutes while the mixture thickens. Add the salt, whisk. Add the cheese and stir continuously with a wooden spoon as the cheese melts. (Make sure to switch to a wooden spoon once you've added the cheese, otherwise it will get stuck in the whisk). If the mixture seems too thick or too thin, add more milk or flour, respectively. Pour the cheese sauce over the cooked pasta and stir to combine. Top with the slightly toasted panko, spreading it evenly over the surface. If you're not serving right away, you can store this covered in the refrigerator. When ready to serve, place the pan under your broiler until the panko is very crisp and the pasta is hot (the timing will vary depending if you chilled it first or not). Garnish by sprinkling with some dried rosemary as pictured above. Enjoy!